THREE leading hospitality organisations have joined forces allow local students the opportunity to earn a BA degree in culinary arts and hospitality. The Capsicum Culinary Studio and The Private Hotel School have partnered with Switzerland’s famous Business and Hotel Management School. This partnership allows them exchange teaching and professional experiences. Students who have successfully completed the three-year, level 6 chef QCTO occupational certificate at Capsicum get direct entry to the final year of the BA degree in Culinary Arts at the Swiss school. Graduates who successfully complete the advanced certificate in hospitality management (NQF Level 6) or diploma in event management (NQF Level 6) are offered entry in the final year of a hotel and hospitality management BA degree. Students can also access paid internships and international work placement after earning a degree. 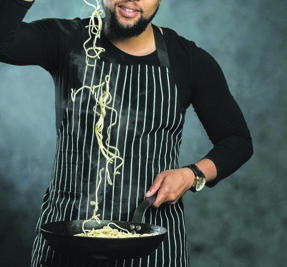 Capsicum Culinary Studio is the largest chef school of its kind in South Africa with six campuses throughout the country and graduates who work around the world. Capsicum has branches in Boksburg, Cape Town, Durban, Joburg, Port Elizabeth and Pretoria. It collectively keeps a 95% pass rate. It also has more local and international accreditations and associations than many other chef training institutes in South Africa. In its 13 years of operation in Stellenbosch, The Private Hotel School has become renowned for offering exceptional hospitality training. Many of the institution’s alumni have gone on to establish themselves in five-star hotels and award-winning restaurants, locally and abroad. Nearly all graduates find employment upon completion of their courses. The hotel school has also launched a new campus in Rosebank, Joburg.